Ahoy ye maties! September 19th is Talk Like a Pirate Day! To celebrate, create a handout or a display of titles with pirates as the central theme. 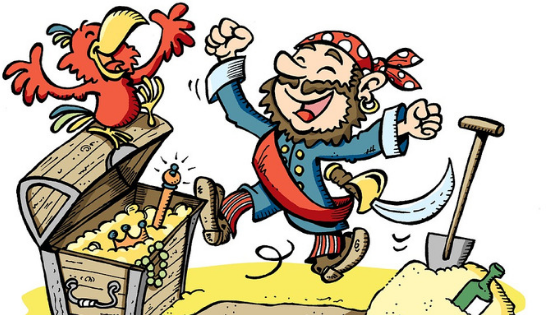 If you are really looking to talk like a pirate (or at least talk the way they are often portrayed), picture books are your best bet for some fun and often funny pirate titles.